Please visit our current vacancies page for a list of all our open positions. How do I apply for a job with JTL? You should register on our site and complete our online application process for all vacancies at JTL. What do I do if there isn’t a suitable job? Unfortunately, we’re unable to hold CVs on file or accept speculative applications. However, if you can’t find a role that meets your requirements at the moment, please register your interest. We will ensure that any new vacancies matching your requirements are emailed to you as soon as they become available so that you can apply. Will you provide special adjustment for my disability? Please contact hr@jtltraining.com if you feel a disability may impact any stage of the recruitment process and we will work with you to ensure that we take the best course of action possible. You can track the progress of your application via your account. Do you have any tips to help my application? Your application plays a key part in our selection process. We use the information to decide whether you are shortlisted for the selection process. To do this, we will examine the ways in which you have demonstrated in the application how you meet the job requirements. We will not make assumptions about your achievements and abilities; you must therefore be clear about exactly how you feel they match our requirements. Many of our posts have minimum qualification standards demanded by the awarding bodies we work with. We are also keen to ensure that we comply with any legislation or regulations regarding the safeguarding of children and vulnerable adults. If you are invited to interview you will be expected to produce original qualification certificates to support the qualifications you assert. If you are successful at interview, and where a particular qualification is mandatory to the vacancy you have applied for, an offer of employment will not be made until the original qualification certificate has been seen. We cannot accept “credit towards” certificates. When completing details of your employment history, start with your current or last employer, and then list all past employers in reverse date order (so that your very first job is last). You are asked to provide the dates you worked there, the employer name and address, the post held and your reason for leaving. When listing your jobs, ensure that the dates are correct and in date order. Remember to explain any gaps in your employment history. We will always seek references so it is vital that you provide the correct information. Can I amend an error in my application? Unfortunately, once you have submitted your application you’re unable to make any changes to the information you have provided. Should you need to make an amendment, please email the Recruitment Team at hr@jtltraining.com and we’ll try to note the change. Due to the volume of applications we receive, we’re unfortunately unable to provide feedback at application stage. If you have completed a face-to-face interview, we will ensure that appropriate feedback is provided to you. Do you support education and development? 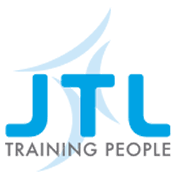 JTL is keen to encourage the professional development of its employees and aims to support those employees who wish to gain relevant professional qualifications. JTL will therefore pay tuition fees for work-related academic courses, relevant to the employee’s current role and agreed career path within JTL. Interviews can be quite daunting. Although interviews should be challenging, we will try to make the whole experience as smooth and comfortable as possible. Read the job description in detail and make note of your strengths, skills and experience with the requirements of the job in mind. Familiarise yourself with our business and make sure you’ve researched the company thoroughly in order that you can demonstrate your fit and knowledge. Consider what it is about JTL and the job you’re applying for that appeals to you. Make sure you’re on time and dressed smart. Be yourself – we want to see the real you! Normal working hours are 35 hours per week. Core office hours are 9.00am to 5.00pm Monday to Friday with an hour (unpaid) for lunch (unless otherwise arranged). We are keen to support flexible working requests – just ask! I have a criminal record – does it matter? The answer to this one is ‘depends’. Generally it doesn’t; we are keen to support the rehabilitation of offenders therefore we will only ask you to disclose convictions for roles in ‘regulated activity’. Will I need to be DBS checked? JTL’s funding contract requires that all employees in positions where they may be working with children and vulnerable adults undergo appropriate checks to ensure their suitability. Roles that require a DBS check will be clearly identified. The document will form part of the basis on which discussions to appoint can be made and is intended to help JTL decide whether a person’s criminal record is relevant or not in order to ensure both the protection of children and vulnerable adults and opportunities for people with criminal records who can be safely employed.